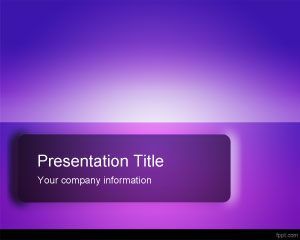 This free Violet e-Learning PowerPoint Template is a free academic and educational template for elearning projects with a small bookmark design in the top left corner and violet background. 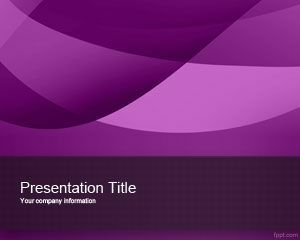 You can free download violet PowerPoint template for elearning presentations in Microsoft PowerPoint 2007 and 2010 but also useful for other education PowerPoint templates and purposes. 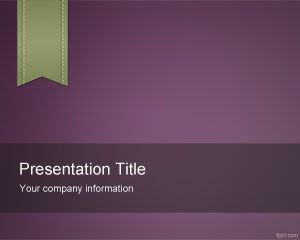 Free violet PPT template or purple color template for PowerPoint has enough space for the presentation title and gradient style in the background. 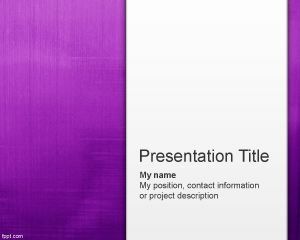 The bookmark icon has a green color so this template has a perfect color scheme based on violet and light green. The internal slide is also provided so you can embed your presentation content inside the PowerPoint slide design.